Born into a family that made its money in the textile business, Gustave Caillebotte used his considerable means to support his Impressionist colleagues and to purchase their work, acquiring paintings by Cézanne, Degas, Manet, Monet, Pissarro, and Sisley, among others. Although he was the least-known member of the “core” Impressionists (he was almost 10 years younger than the others and missed the group’s early development), during the late 1870s and early 1880s Caillebotte was an important participant in the dramatic revolution in French painting. Among his early acquisitions was Pierre-Auguste Renoir’s Dance at the Moulin de la Galette (1876, Musée d’Orsay), shown at the third Impressionist exhibition; he even included it in the background of an 1879-80 self-portrait. Since Caillebotte bought many works by other Impressionists, his reference to this painting in his self-portrait seems a deliberate symbol of his admiration for and friendship with Renoir. During these days of struggle and ambition for Renoir, Caillebotte emerged as a stalwart advocate for his fellow artist and became a lifelong supporter of his work. Their friendship was a close one: in 1876, Caillebotte named Renoir executor of his will, and when Renoir and Charigot had their first son in 1885, they asked Caillebotte to be the child’s godfather. 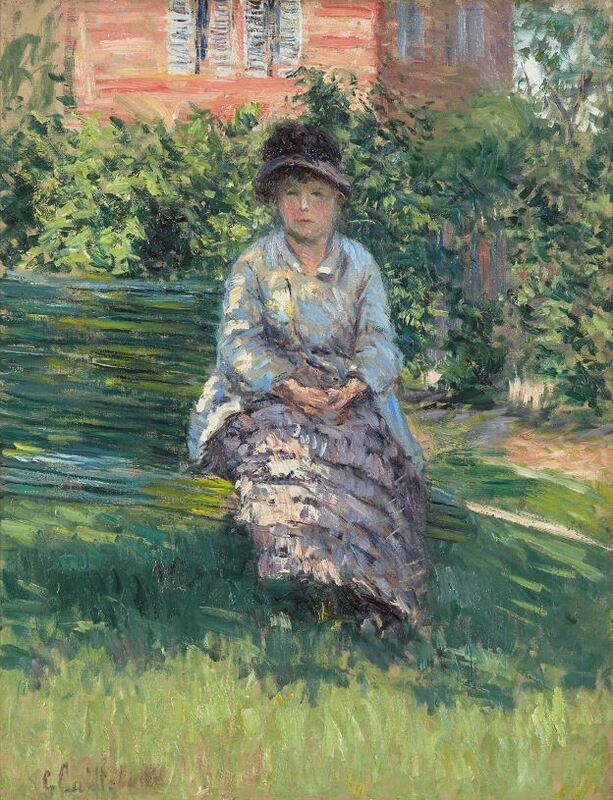 Caillebotte painted a portrait of Renoir’s wife, Aline Charigot, in the garden of his house at Petit-Gennevilliers in 1891; so too did Renoir paint Caillebotte’s sweetheart, Charlotte Berthier, though a few years earlier and in a more formal indoor setting. Renoir and Caillebotte were close friends until Caillebotte died of a stroke in 1894 at Petit-Gennevilliers. The Phillips Collection and the greater art community suffered an enormous loss with the passing of former Phillips Collection Director Charles Moffett. He was a beloved leader, curator, and friend. Charlie was Director of the Phillips from 1992–1998, bringing with him years of curatorial experience from his time at the Metropolitan Museum of Art, National Gallery of Art, and the Fine Arts Museum of San Francisco. 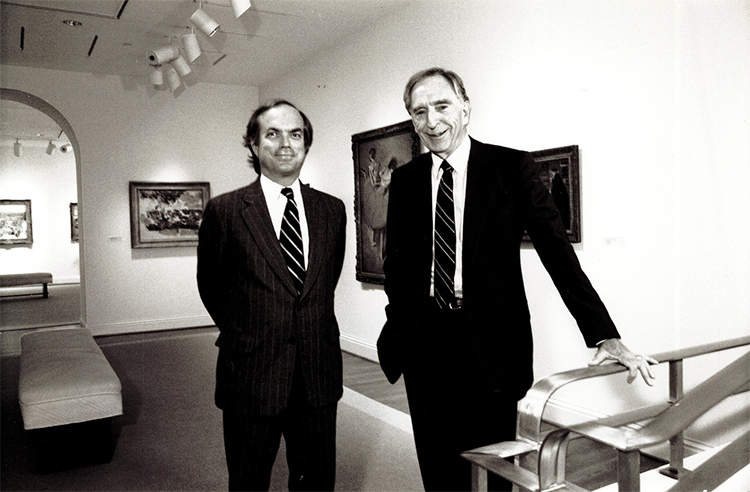 In 1996, The Phillips Collection celebrated its 75th anniversary. In honor of that banner year, Charlie worked with the staff to initiate a major exhibition, Impressionists on the Seine: A Celebration of Renoir’s “Luncheon of the Boating Party.” The exhibition was by far the institution’s most ambitious to date, organized around Pierre-Auguste Renoir’s iconic painting. The exhibition proved to be the most successful show to date in the history of the museum, with nearly 200,000 visitors over the course of its five month run. Due to its enormous popularity, the show was extended for a two week period, and all attendance records for a single exhibition at the museum were shattered. A specialist in late-19th-century French painting, Charlie went on to organize the successful, nationally touring Impressionists in Winter: Effets de Neige, on view at the Phillips in 1998, and Impressionist Still Life, co-organized with the Museum of Fine Arts, Boston, held at the Phillips in 2001–2002. In honor of Charlie Moffett’s memory and many contributions, The Phillips Collection hosted Dr. Richard Brettell, one of the world’s foremost authorities on Impressionism and 1830–1930 French painting and friend of Charlie, for a lecture titled All Together in One Room: The Impressionist Exhibition of 1882, on March 17, 2016. Our staff remembers Charlie as a wonderful colleague, who connected deeply with the collection. His detail-oriented perfectionism and inclination toward lofty institutional goals contributed to the pioneering mindset that the Phillips and its staff so value today.